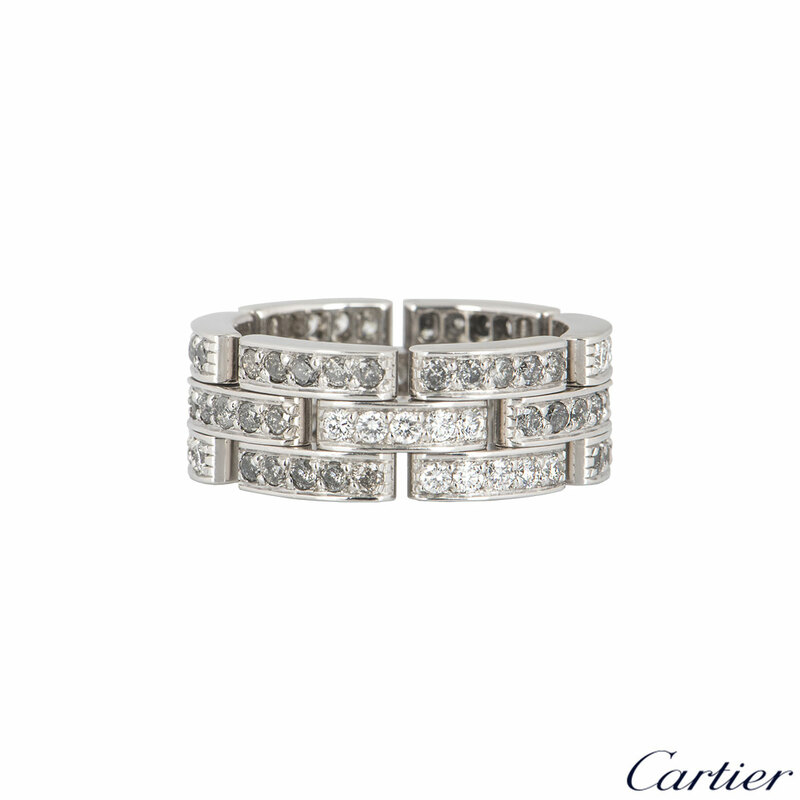 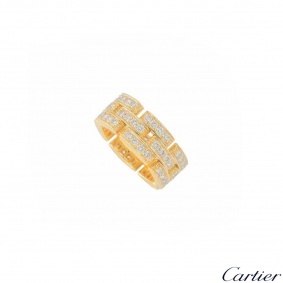 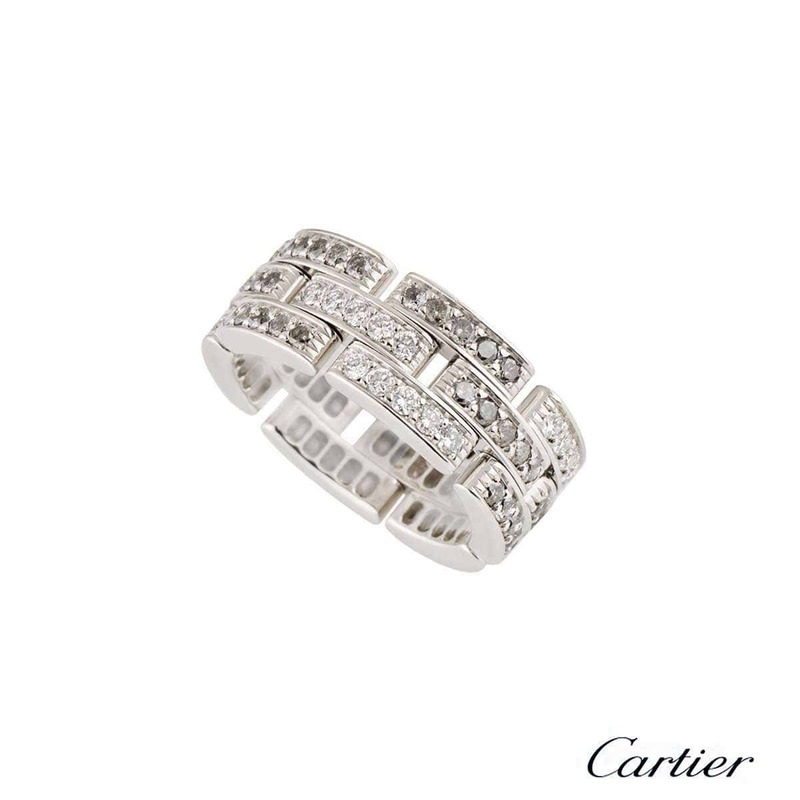 A stunning 18k white gold Cartier diamond Maillon Panthere ring from the Links and Chains collection. 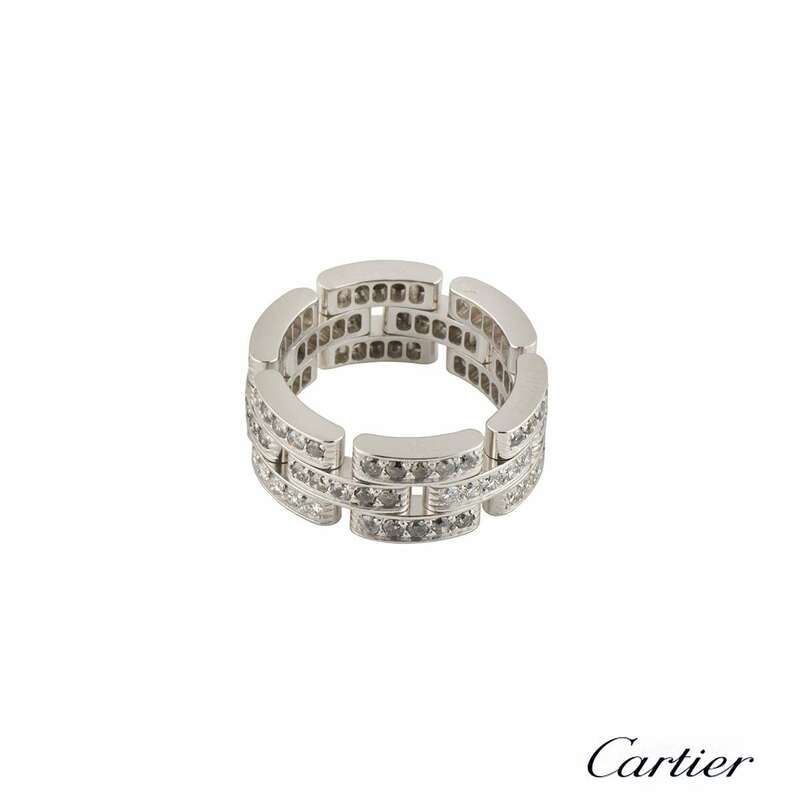 The ring comprises of 3 rows of 18 open work flexible panels, each panel is pave set with five round brilliant cut diamonds totalling approximately 1.53ct. 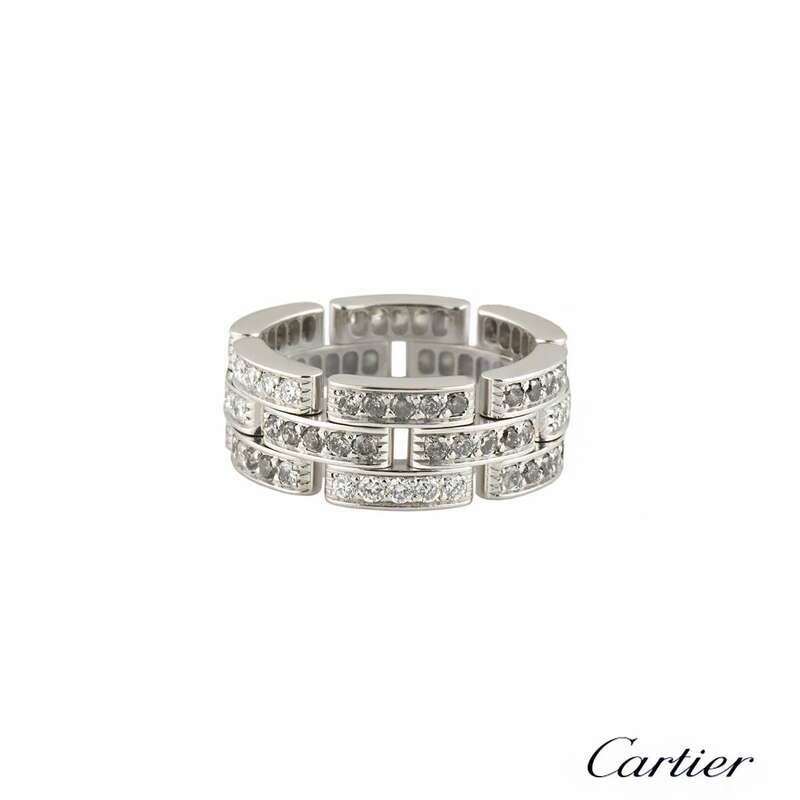 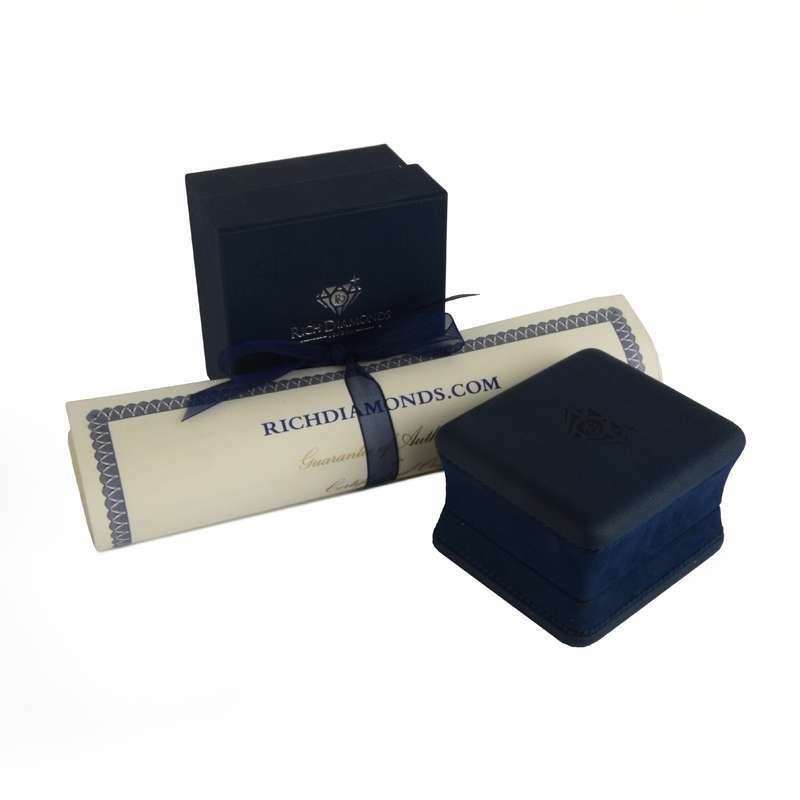 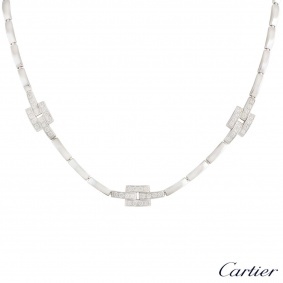 The diamonds range from a bright white G colour to a fancy grey colour. 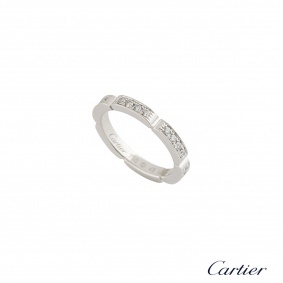 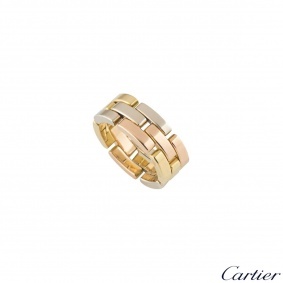 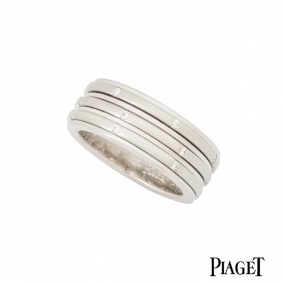 The ring measures 8mm in width, is a size 51 and has a gross weight of 9.3 grams.